Treating patients and families in the New Jersey and New York areas for over 30 years. 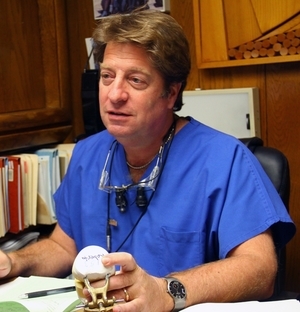 Dr. Cohn's office offers comprehensive general dental services for individuals and families. Our services include Root Canals, Periodontal Treatment, Cosmetic Dentistry, Oral Surgery, and Preventative Dentistry for children. We are currently welcoming new patients. We are located in Bayonne, NJ and are easily accessible from Jersey City, Manhattan, Newark, Elizabeth, Union, East Orange, Brooklyn, Staten Island, and surrounding areas. All the above treatments may be offered with the use of Intravenous Sedation or General Anesthesia for the apprehensive patient. We try to minimize the anxiety and fears of the dental experience. Dr. Cohn is a dental anesthesiologist who can put you at ease and virtually eliminate the pain associated with dental procedures. We work with all insurance carriers and accept all major credit cards. We also sponsor financing through Care Credit.